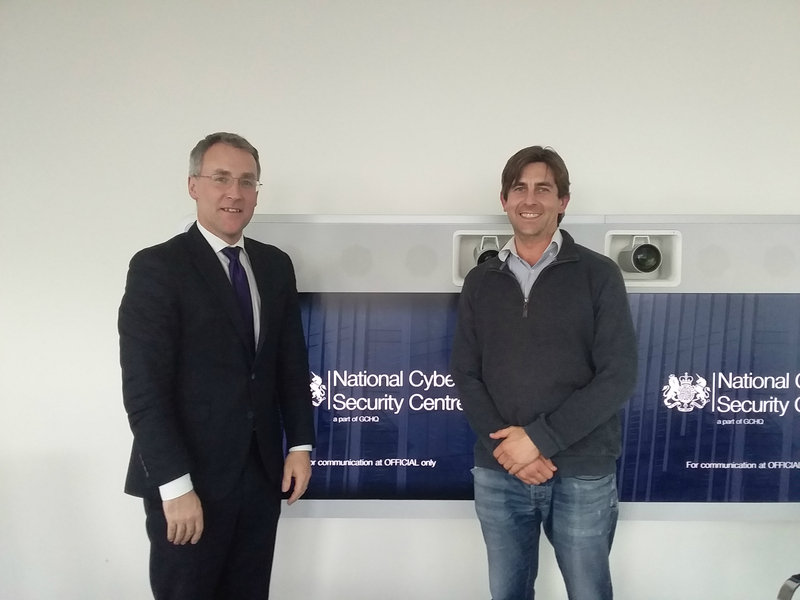 For this episode of “Secure in Mind” podcast, I travelled to the UK to take a tour of the UK’s Cyber Security Centre and meet with Ciaran Martin, the man at the helm of the impressive initiative. Ciaran is an exceptionally sharp leader of an organisation that is charged with protecting the United Kingdom from cyber attacks. During this episode, we discuss how he landed in the lead role of such a critical function in public office just over 2 years ago when the centre was officially established. This is a must listen for anyone remotely connected to the internet [pun intended]… which is most people nowadays. I truly enjoyed meeting up with Ciaran again – it’s a pleasure to listen to someone so thoroughly on top of their game give well considered answers to questions regarding modern day efforts government institutions are employing to combat miscreants on the internet. As always, listen, share and please send me any feedback you may have as well as recommendations or introductions for other critical thinkers and operators you may know! Ciaran and Nick during their conversation. Our mission is to greatly increase and encourage community discussion about technological and ethical issues that have done, are and will impact society on a global scale. There is a longstanding and distinct disconnect between the way information is packaged and presented to the public and the effectiveness of this presentation in terms of generating informed, considered debate. If we can take complex, important topics and present them, as best we can, in a manner that can interests people from outside the speciality, then we have surpassed our expectations. Collaborating, negotiating, elaborating and celebrating with fascinating people from all walks of life including politics, technology, activism, military and intelligence the world over. He brings this unique breadth of perspective to the table and has a dogged interest in pursuing the human story behind the title or policy, appreciating the fact that underneath all of our bravado, political correctness and dichotomous states of creation and destruction, we are, after all, merely mortals trying to make the best of it. The production cost of this episode of ‘Secure in Mind’ was supported by aizoOn Technology Consulting. aizoOn is a global technology consulting company focused on innovation. The digital economy requires new visions, technologies and organisational models. We have taken the eco-system approach: innovation happens through a co-creation process involving government agencies, individuals, public and private entities. What this boils down to is that we use data and brains to drastically increase efficiencies, reduce waste, consolidate technology security postures and train the next generation of the top tech force. If you want to passively and effectively identify hackers in your network, require project management on your space programme or even need a chemical scientist to solve a supply chain issue in your bottling plant, give us a call! J Michael Daniel (Obama's cyber security czar): "How to construct an effective Cyber Security Policy"